Facebook posts from Amos Yee underscore Singapore’s excessive response to an offensive video. This is a sample of the prison reflections written by 16-year-old video blogger Amos Yee from Singapore. Yee was remanded for three weeks last month to assess if he is prepared to undergo reformative training. He was transferred to a mental health facility last week after a judge ordered him to be evaluated for autism. What crime did Yee commit? 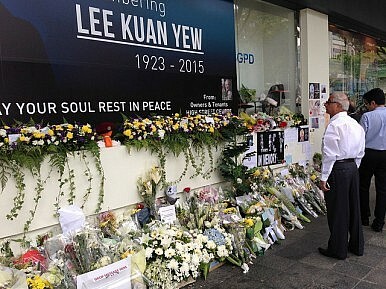 He posted a video criticizing the late Lee Kuan Yew, the beloved founding prime minister of Singapore. He was charged for causing “distress” to his viewers. He was also accused of offending the religious sentiments of Christians and for posting obscene material on the Internet. Many felt that Yee’s video was inappropriate, insensitive, and disrespectful. But many also felt the punishment he received was wrong and irrational. After all, Yee is only a teenager who happened to be vocal about his offensive opinions. It was a nonviolent offense. Despite his age, Amos was nonetheless arrested and detained by authorities. Because of this, some believe he is already the world’s youngest “prisoner of conscience.” And through Facebook, we are able to learn his ordeal. “I had never been exposed to sunshine. The closest thing I had to going outdoors was a daily (except for weekends), 1- hour activity called the outdoor ‘yard’ where inmates get to play basketball or sepak takraw. But we’re not doing it outdoors, but in a 5th floor enclosure similar to that of an indoor sports hall. And of course, there is no opening in the ceiling for cellmates to have direct contact with sunlight,” he wrote. It is quite disturbing to read a prison diary of a teenager who is penalized for thinking differently. “Cellmates, often thinking about the implications of them being in jail, or getting frustrated by the tedium of being in a cell, become enraged and hyperactive. In a state of restlessness and anxiety, they start singing high-pitched songs, punching the walls, banging their cups and boxes. The unrelenting sounds send me into a deep state of nervousness and apprehension,” Yee wrote. Yee’s prison notes are posted on Facebook despite his incarceration, prompting many to speculate that he scheduled his posts or that another person is maintaining his account. By releasing Yee, it does not mean the teenager is correct about the way he articulated his views on Lee Kuan Yew and Christianity. Instead, it will demonstrate that the Singapore government is mature enough to handle the behavior of a teenager and that it can tolerate contrary views.